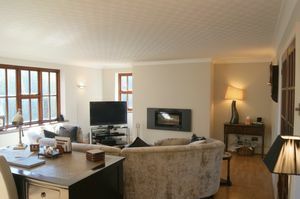 GUIDE PRICE: £375,000 TO £385,000. 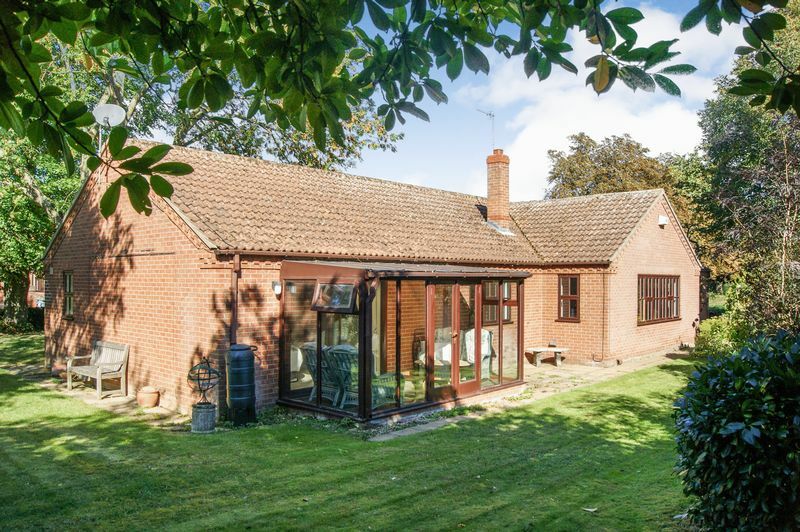 A substantial four bedroom detached bungalow situated on a delightful plot within this popular and tranquil village. 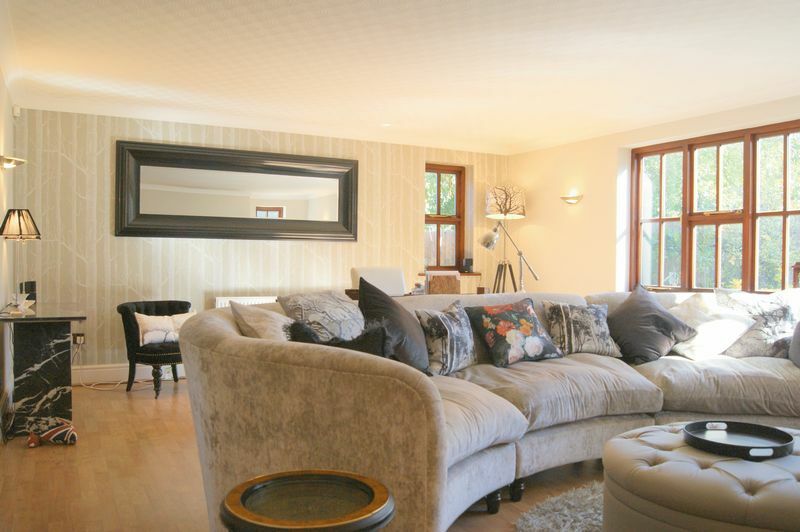 In addition to the four bedrooms, the property has three excellent sized reception rooms, a breakfast kitchen, conservatory, utility room, en-suite bathroom and a shower room. 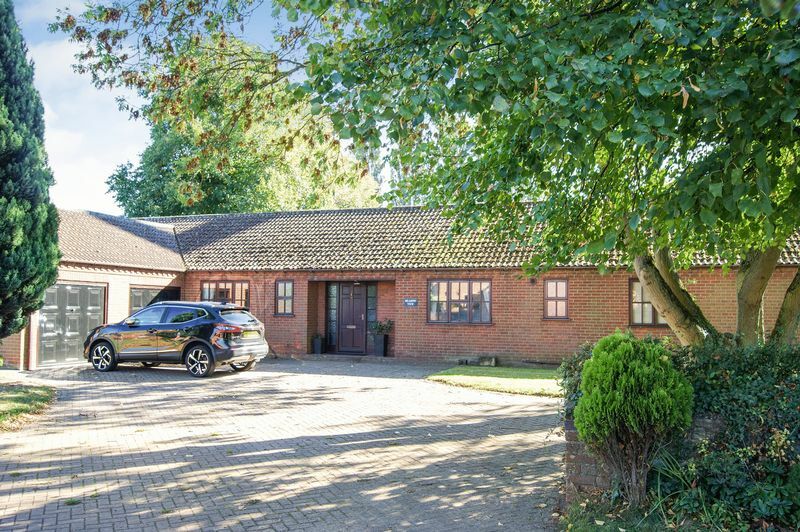 There are delightful gardens that wrap around the property with the majority being located to the front and side, and a double garage. The property has oil fired central heating. Early viewing is absolutely essential. The village of Marston is situated approximately 7 miles from Grantham and is close to the neighbouring village of Hougham. 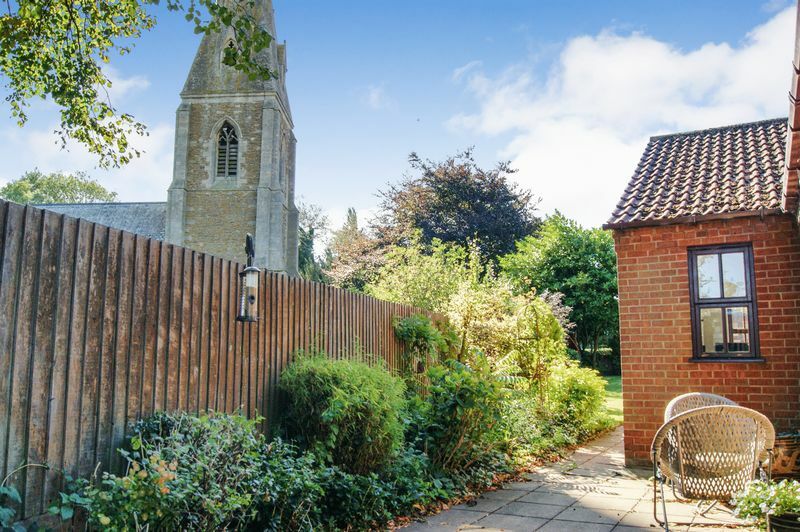 Marston has a local public house/shop and a very highly regarded village primary school. 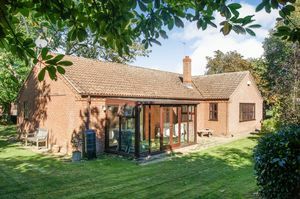 The village of Long Bennington contains a range of amenities including a doctors surgery. The Downtown shopping facility is situated at nearby Gonerby Moor and includes a large garden centre. More comprehensive facilities are available in both Grantham and Newark. Grantham is well known for its boys and girls grammar schools and there are trains to London Kings Cross from both Grantham and Newark with the journey time from just over an hour. 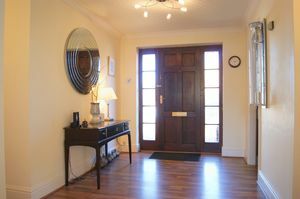 The welcoming and spacious reception hallway provides access to the majority of the rooms, and has a useful fitted storage cupboard. The airing cupboard is also housed in the hallway. The hallway is enhanced with wood laminate flooring, cornice to the ceiling and multiple ceiling light points. The hallway also has two radiators and provides access to the roof space. The cloakroom has an opaque window to the front elevation, is fitted with a WC and wash hand basin, and complemented with the same wood laminate flooring that flows through from the reception hallway. In addition there is cornice to the ceiling, a ceiling light point and a radiator. 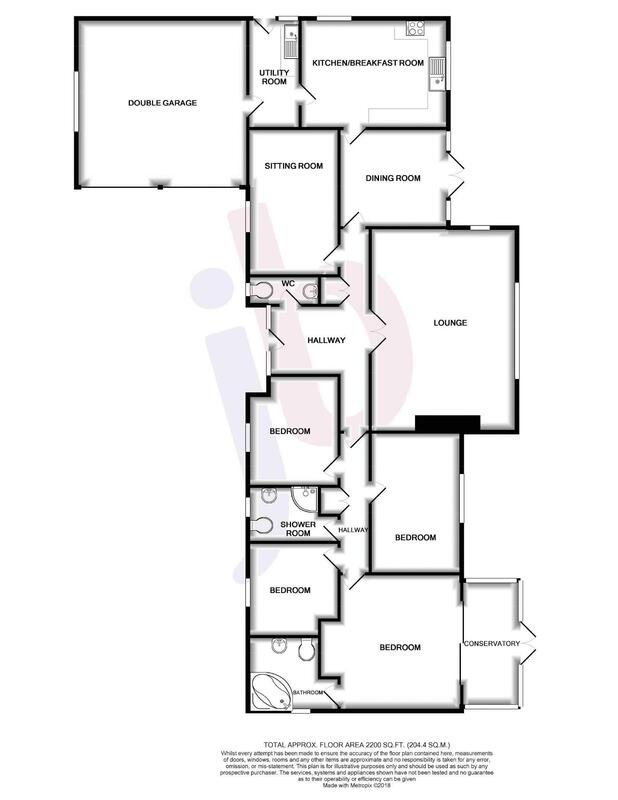 This fabulous sized and well proportioned reception room has windows to the front and side elevations which make it particularly bright and airy. The focal point of the lounge is the contemporary log burner which is inset. 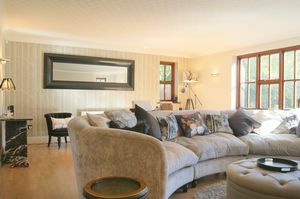 The lounge also has wood laminate flooring, cornice to the ceiling, wall light points and two radiators. 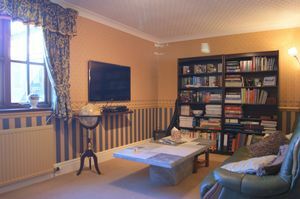 The sitting room has a window to the front elevation overlooking the driveway. This second reception room is also well proportioned and has cornice to the ceiling, a ceiling light point and a radiator. 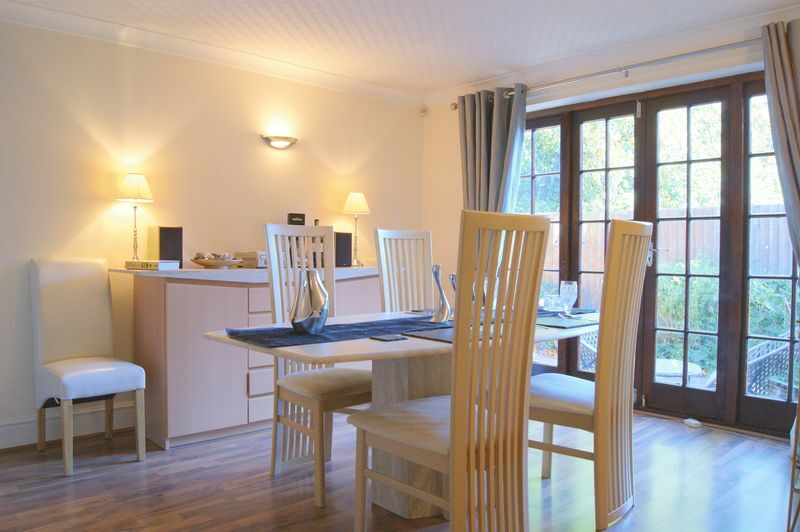 The dining room has windows, and glazed French doors leading out to a courtyard that is located within the rear garden. From the dining room a further door leads into the breakfast kitchen. 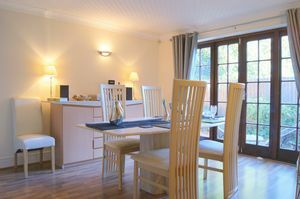 The dining room is complemented with wood laminate flooring that flows through from the hallway, together with cornice to the ceiling and wall light points. There is also a radiator installed. 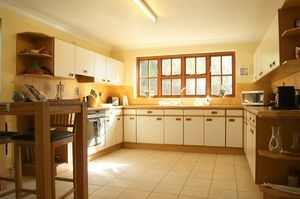 The breakfast kitchen has dual aspect windows to the rear and side elevations enjoying views towards St. Mary's Church and open countryside to the side. 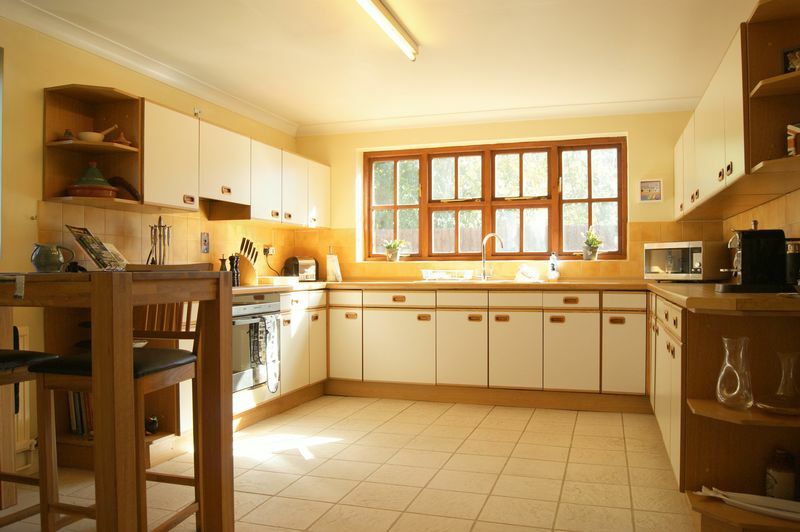 The kitchen is fitted with a good range of base and wall units, with roll top work surfaces and tiled splash backs. There is a one and a half bowl sink, and integrated appliances include an oven with induction hob and extractor hood above, and a fridge. The breakfast kitchen is of sufficient size to accommodate a dining table, and also has a ceramic tiled floor and cornice to the ceiling. In addition there is a ceiling strip light and a radiator. A door leads through to the utility room. The utility room has a window and a half glazed door to the side elevation and is fitted with a base unit with stainless steel sink inset, and further work surfaces to complement those of the kitchen. There is space and plumbing for both a washing machine and a tumble dryer. The utility room has the same ceramic tiled floor that flows through from the kitchen, a ceiling light point, a radiator and a personnel door providing access into the garage. An excellent sized double bedroom with sliding patio doors leading to the conservatory, and a door into the en-suite bathroom. 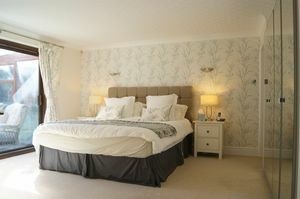 The bedroom is complemented with cornice to the ceiling and wall light points. There is a radiator installed. The en-suite has an opaque window to the side elevation and is fitted with a coloured suite comprising corner bath with mains shower above, pedestal wash hand basin and WC. 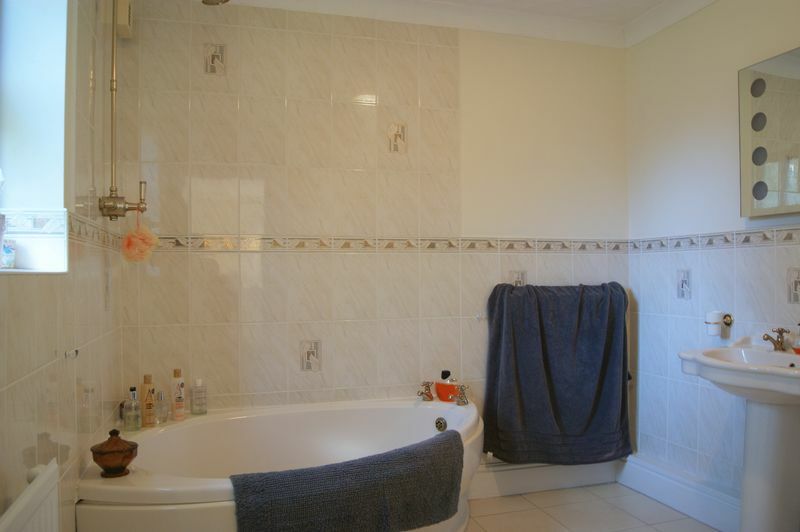 The en-suite has ceramic floor and wall tiling, together with cornice to the ceiling, a ceiling light point and a radiator. The conservatory is of timber construction and has triple aspect windows, and French doors providing access to the garden. The conservatory has a ceramic tiled floor. 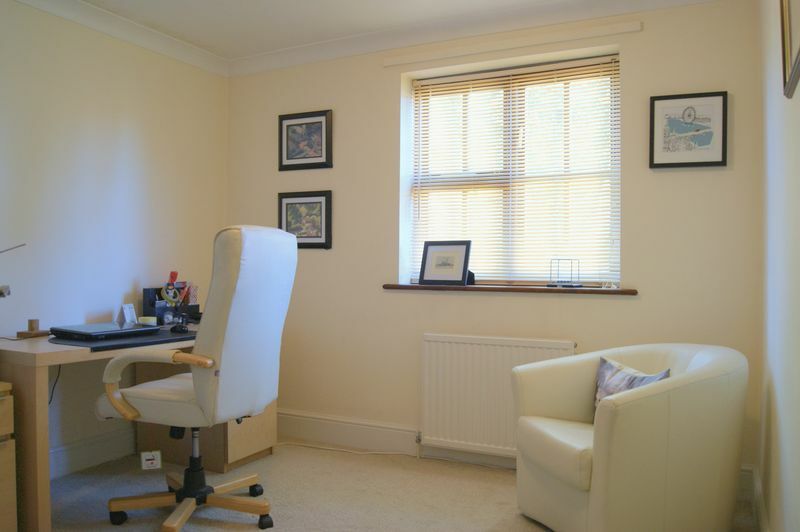 A further very good sized double bedroom with a window to the rear elevation, cornice to the ceiling, a ceiling light point and a radiator. 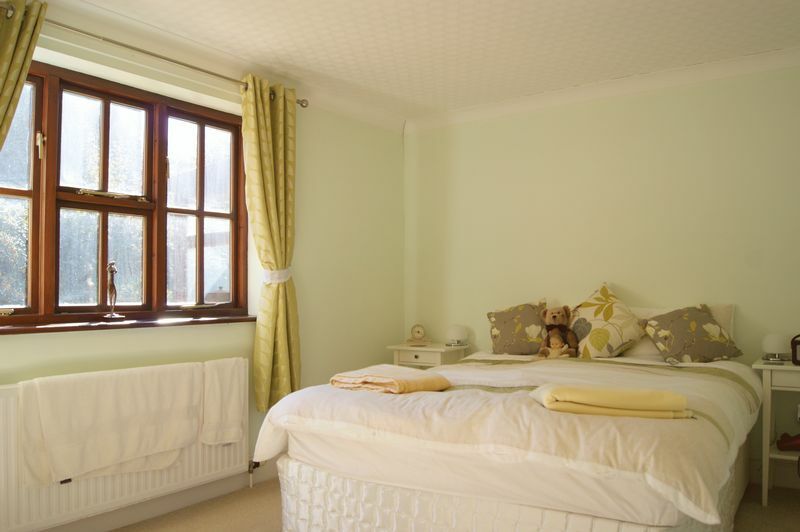 A double bedroom with a window to the front elevation overlooking the driveway and gardens. 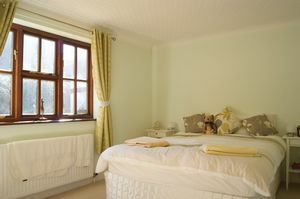 Once again this bedroom has cornice to the ceiling, a ceiling light point and a radiator. 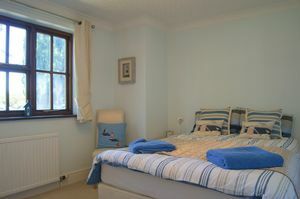 A further double bedroom, with a window to the front elevation. This bedroom is currently utilised as a home office/study, and has cornice to the ceiling, a ceiling light point and a radiator. The shower room has an opaque window to the front elevation and is fitted with a walk in shower cubicle with multi jet shower and steam room, together with a pedestal wash hand basin and WC. 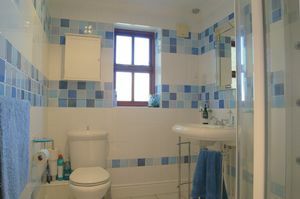 The shower room also has ceramic wall and floor tiling, recessed ceiling spotlights, a shaver's socket and an extractor fan. The garage has twin up and over doors to the front elevation, a window to the side elevation and a personnel door leading into the utility room. The garage is equipped with both power and lighting. The property stands on a delightful plot, and to the front is a substantial block paved driveway which provides off road parking for numerous vehicles, and in turn leads to the garage and the front door. 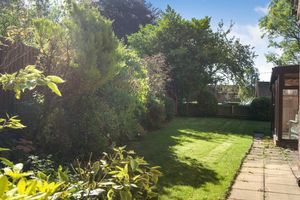 There are lawned gardens to the front of the property, interspersed with a number of mature trees. The gardens sweep around either side of the property to the rear. 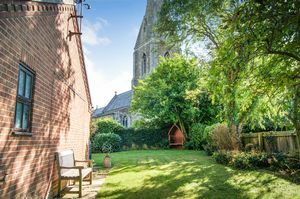 The rear garden enjoys a high degree of privacy, and has two distinctive patio areas that provide a choice of outdoor seating and entertaining areas, and enjoying views towards St. Mary's Church.